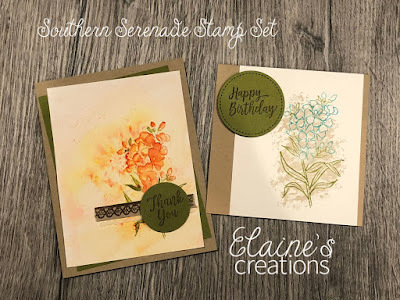 I had fun playing around with the new Brusho Crystal Colors and the Southern Serenade stamp set. I started with the Shimmery White card stock because it hold up well to water. I took an aqua painter and swished some water across the paper and gently sprinkled the Brusho like a salt shaker onto the water. On the card on the left, I just let it dry. 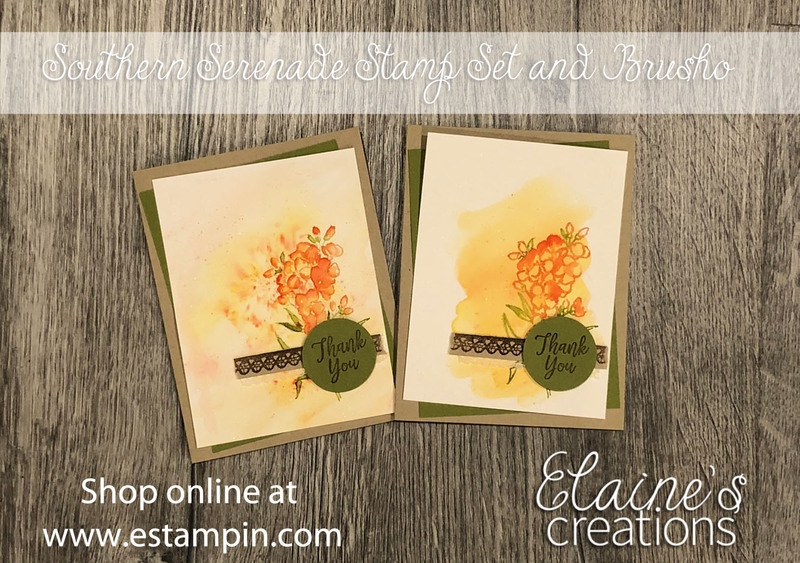 On the card on the right, I used my aqua painter to blend the color into a wash. Which do you like better?